Bring your own (or purchase) 16-18″ container and spend some time with us at Terry’s Greenhouse to get your planters summer ready! You will receive 1 thriller, 2 fillers, and 2 spillers plus soil and refreshments for $45. Want more flowers or have more than one planter, no problem! 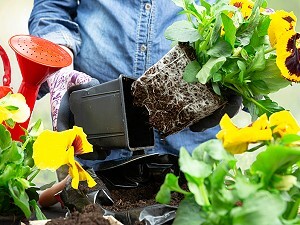 Purchase a single ticket and bring all the planters you want to do for an additional cost to be paid at the event.